It has taken decades for Germany to accord the Bauhaus its rightful place in the national cultural landscape. But 100 years after it was founded, the country that once chased away the school and its protagonists is energetically reinstalling them in the public consciousness. The centenary celebrations will appear across the country and the range of events is overwhelming; from new museum openings to puppet shows, from virtual-reality installations to ballet. Dozens of exhibitions cover diverse aspects of the Bauhaus legacy, such as typography (at the Gutenberg Museum in Mainz) and its influence on modern photography (at the NRW-Forum in Düsseldorf). Key highlights are museum openings in two Bauhaus locations, Weimar and Dessau. 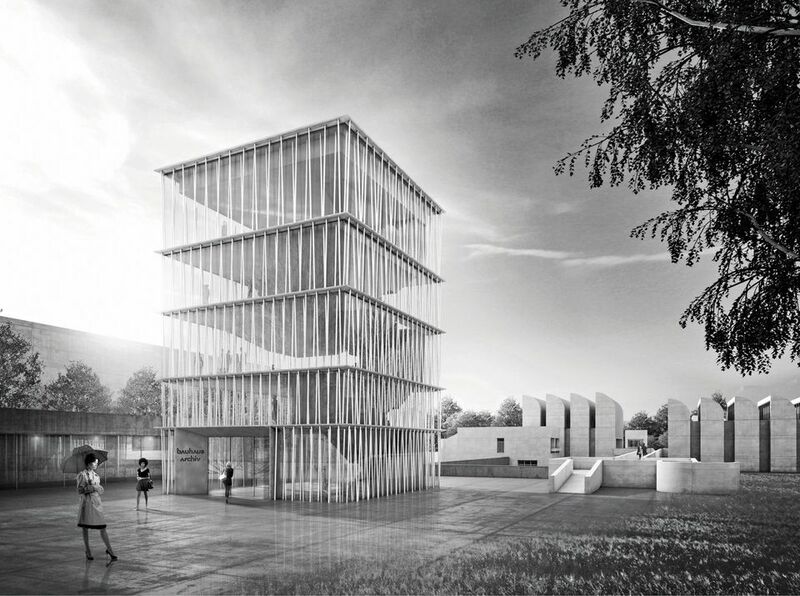 The Bauhaus Museum Weimar, designed by the architect Heike Hanada and costing €23m, will open first, on 6 April, with a show called Bauhaus Comes from Weimar and 2,000 sq. m of exhibition space. A minimalistic cube perched on a massive concrete base, it has five levels and will display more than 1,000 objects from the world’s oldest Bauhaus collection, including Marianne Brandt’s famous teapot, chairs by Marcel Breuer, paintings by Paul Klee and Lyonel Feininger and furniture by Mies van der Rohe. The only remaining Bauhaus building in Weimar will also open to the public on 18 May. The Haus am Horn was designed by Georg Muche and built for the first Bauhaus exhibition of 1923. It was regarded as a prototype of modern living, with furniture produced by Bauhaus students such as Breuer and Alma Siedhoff-Buscher. After alterations by subsequent inhabitants, Haus am Horn has been returned to its original appearance. Dessau is the city most closely associated with the Bauhaus, and it is here that Gropius’s school building still stands, along with the masters’ houses where Klee, Kandinsky and others worked and lived. The new Bauhaus Museum, in the city park in Dessau, is already completed—a solid steelwork block encased in glass, built by Barcelona-based Addenda Architects at a cost of €28m. The lower floor, with an airy atrium appearance, will host temporary exhibitions and events, while the sealed steel block on the upper floor will house the permanent exhibition of objects from the Bauhaus collection. It opens on 8 September. The celebrations kick off in Berlin this month, with an opening festival at the Akademie der Künste in Berlin. Moholy-Nagy’s Light-Space-Modulator, a rotating disc bearing metal or glass structures that cast an array of strange shadows, is the inspiration for the exhibition called Light, Shadow, Traces (17-24 January). Equipped with virtual reality glasses, visitors can also immerse themselves in Richard Siegal’s installation Total Dance Theatre. Other theatre and dance events include Robert Wilson performing Krapp’s Last Tape on 17 January and a children’s puppet show using perfect copies of the puppets Paul Klee made for his son Felix (the originals are in the Zentrum Paul Klee in Bern). The Catalan choreographer Cesc Gelabert has also reworked two of Oskar Schlemmer’s Bauhaus dances; these will be shown together with a reprisal of Pictures at an Exhibition on 24 January. With music by Modest Mussorgsky, Pictures at an Exhibition first premiered in Dessau in 1928; it was the only time that Wassily Kandinsky realised his idea of an “abstract stage synthesis” as designer of a theatre performance. Berlin is also getting a new museum building marking the centenary, but it won’t open until 2022. The Bauhaus Archiv, designed by Walter Gropius, is closed in the meantime. It currently houses an archive, exhibition space and library, and is inadequate to cope with visitor numbers that have doubled over the past ten years. A new extension designed by the Berlin architect Volker Staab is bigger than the existing building and will house exhibition space, a café and shop. While construction is under way, the Bauhaus Archiv is taking over the Berlinische Galerie with a large exhibition called Original Bauhaus from 6 September. The show takes 14 Bauhaus objects to illuminate the relationship between unique pieces and mass production. Among them is a photograph by Erich Consemüller of a model in a mask, seated in a steel chair designed by Breuer. Two further exhibitions are planned in Berlin: Bauhaus Imaginista at the Haus der Kulturen der Welt, an international touring project (opening on 15 March); and From Arts and Crafts to the Bauhaus at the Bröhan Museum, opening on 23 January, which will explore the roots of Modernism in precursors to the Bauhaus such as the Glasgow School and the Deutscher Werkbund.